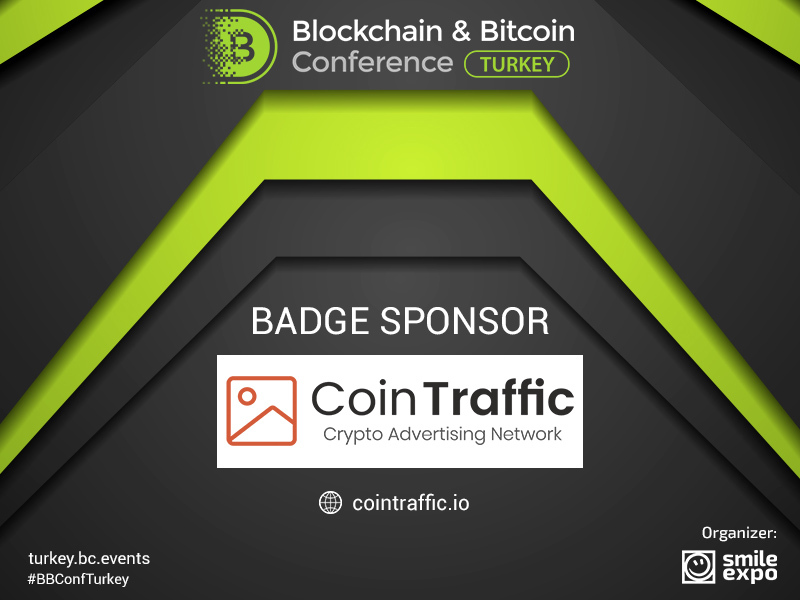 The largest media agency CoinTraffic will become a sponsor of Blockchain & Bitcoin Conference Turkey. CoinTraffic is a well-known advertising network, the main task of which is ad placement on websites dedicated to cryptocurrencies. The agency runs advertising campaigns and allows owners of websites that host the ads to earn money from the brought traffic. The network works with different types of websites related to digital currencies such as news portals, communities, and blogs. Overall, more than 500 cryptocurrency resources, including Coinmarketcap.com, Worldcoinindex.com, CCN.com. What are its advantages over competitors? goal adjustment and optimization of Google Analytics conversion. Founded in 2016, the company has run over 600 advertising campaigns, helped to raise around $700 million for more than 70 ICO projects.